queen only described (see Bolton, 1995) . 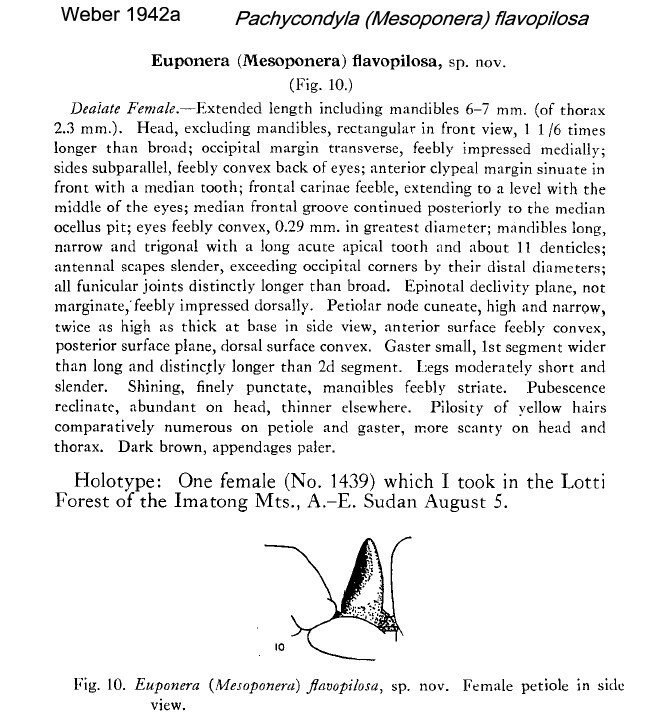 My earlier comment was - "Quite clearly meeting the characters of Xiphopelta, with elongated mandibles, and not a Mesoponera". Weber's (1942a) description is at . 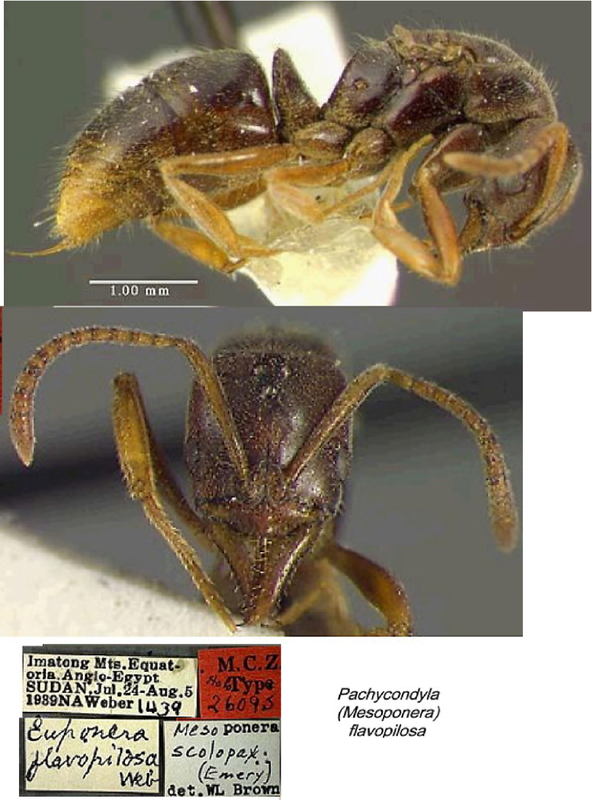 The photomontage of the holotype is from the MCZ website. The photomontage is of a queen from Uganda, collector C A Wiggins; appearing to match the Weber specimen in all characters.